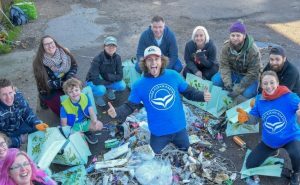 Pure Clean Earth, a new online environmental group tackling plastic pollution in Attleborough, is expanding its “Trash Tribe” to Dereham and is calling for volunteers to help clean up the town. The new TrashTribe event will take place in Dereham on 9th February from 11 a.m. to 12.30 pm, meeting at the Cherry Tree Car Park and heading through Dereham and ending at Dereham Leisure Centre. Pure Clean Earth has successfully been running regular litter picks in Attleborough and these will continue to take place every Sunday from 11 a.m.